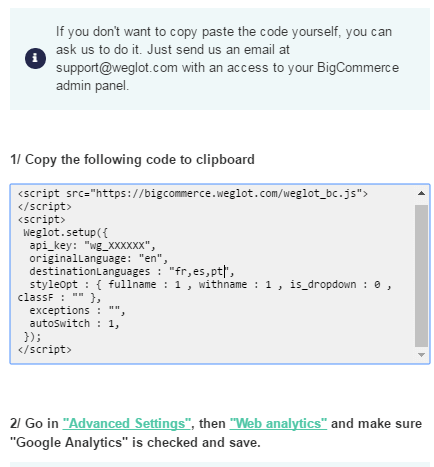 This section is dedicated to show you how to integrate Weglot to your BigCommerce store. 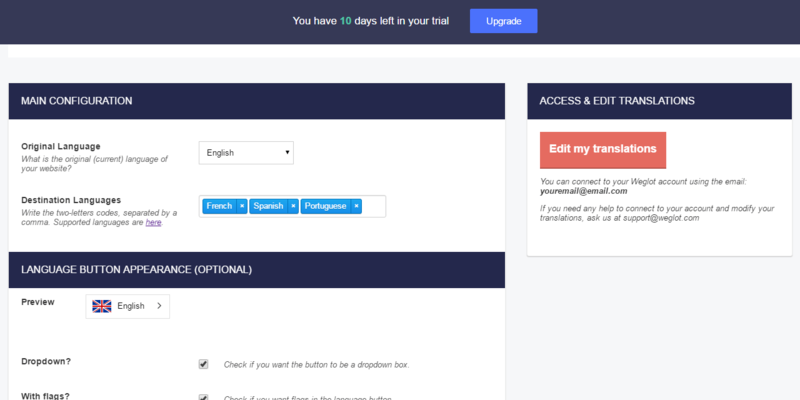 Get ready to translate your website in multiple languages in a few minutes! 1) Go to the BigCommerce App store and find the Weglot Translate App. Then click “GET THIS APP”. 2) Click “Install” then “Confirm”. 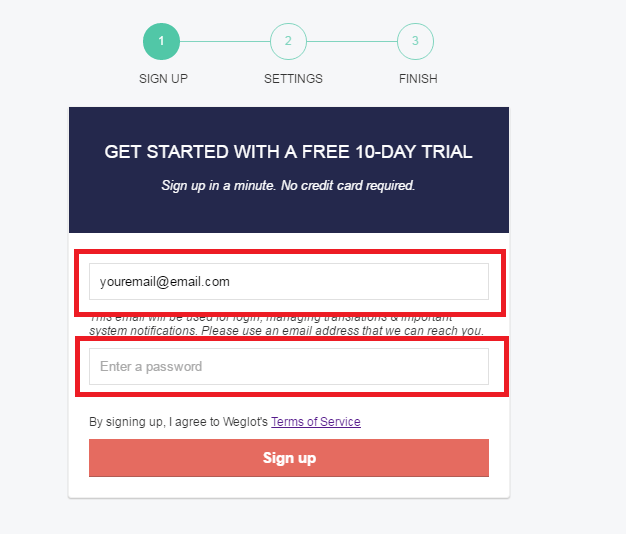 3) Create your Weglot account by entering an email and password. Click “Sign Up”. In this example, your website original language is English and we choose to translate the content in French, Spanish and Portuguese. Follow the last step by Copy pasting the code in “Web Analytics => Google analytics” section like explained in the instructions. Then you are done! 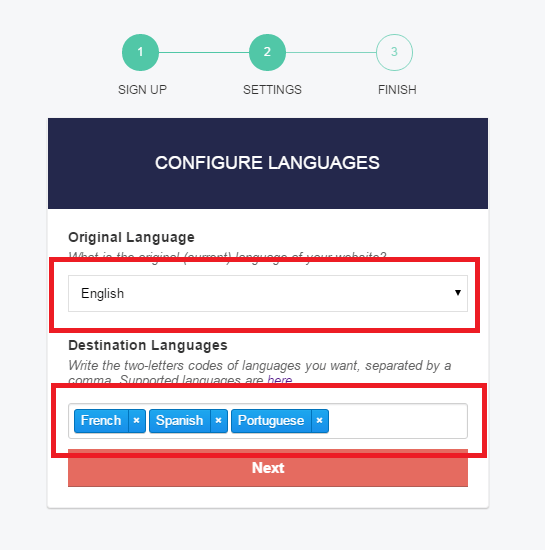 Your BigCommerce store is now multilingual. If you are having trouble doing the manipulation: Please contact us at support@weglot.com. We are here to help you.